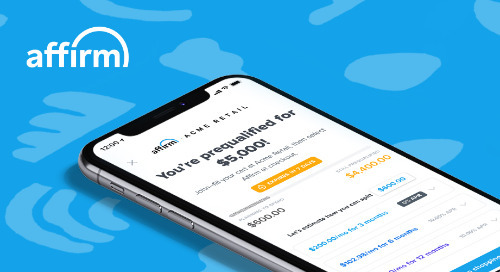 Affirm is proud to announce the details of our new low order value product: AffirmGo. Designed for customers with order values under $250, AffirmGo offers a frictionless three payment plan with 0% APR interest. For the past few months, hundreds of our partners have seen the benefits of upgrading to AffirmGo and are seeing outstanding impacts on their business. 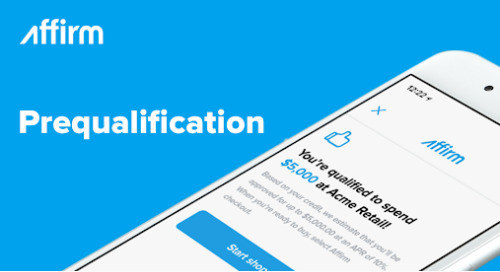 Through our six years in the US market, Affirm is proud to have earned an 83 NPS— and an incredible score for any industry and unheard of in the financial services sector. After customers use our product once, their next question is: Where else can I use Affirm? The surge in demand for a low order value product led us to develop AffirmGo. Simply put, that same network of shoppers provides our merchant partners with a new channel for customer acquisition. We’ve seen dramatic increases in customer acquisition rates directly associated with offering AffirmGo. That virtuous cycle of customer demand and merchant need is exactly why we designed AffirmGo. With the addition of AffirmGo, we are now the one-stop shop for all your pay over time needs. Affirm’s goal is to provide a smooth and transparent process for both customers and businesses. 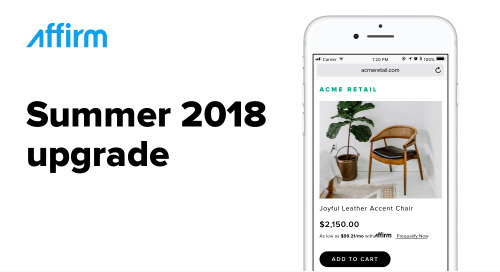 After one simple Affirm integration—measured in hours, not weeks—merchants can offer payment plans for the complete spectrum of orders, from $20 to $17,500 and terms from 3 to 36 months. We can easily customize a program for your business goals that can adjust as you grow. Turning on AffirmGo, or any other Affirm program, is as simple as flipping a switch. All without late fees, compounding interest, or hidden catches for your customers. Baxter works in marketing at Affirm. He formerly worked at Wiser Solutions and Bain & Company. When he isn't launching products, Baxter spends as much time as possible outdoors.